Grow your website with free tools trusted by 15 million sites. AddThis is known for our beautifully simple share buttons. But we also offer a full suite of website tools like list builder, link promotion, and recommended posts, all for free! The easiest way to spread your content online. Build your audience, one fan at a time. Create an enticing call to action and drive visitors to any page you want to promote. Connect your email backend, collecting email addresses in a snap. Engage readers with your most popular content catered to their interests. Now Available on AMP (Accelerated Mobile Pages)! Have you heard? 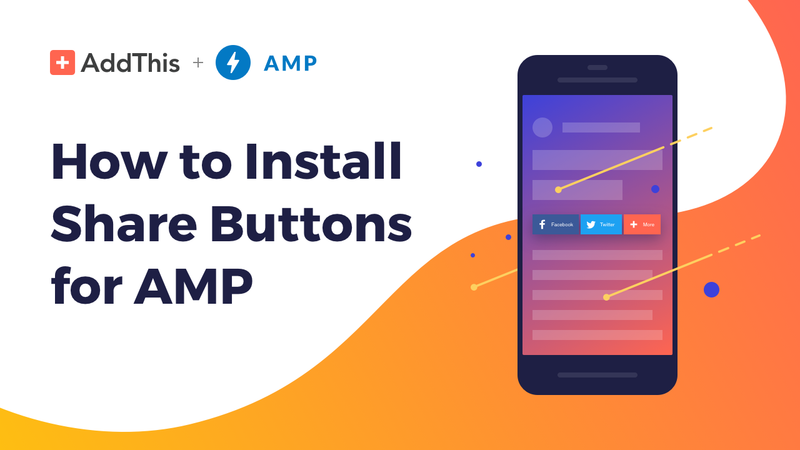 AddThis is the first and only third-party social sharing plugin available as an AMP component! Use AddThis ecommerce tools to reduce shopping cart abandonment, increase sales & capture leads! Segment your audience based on new vs. returning, devices, geo, & social sources to drive engagement. Visit the AddThis Academy to learn tips & tricks from the pros to help drive traffic.